Let’s Walk Together Again! 2015 Gangjeong Grand March for Life and Peace! 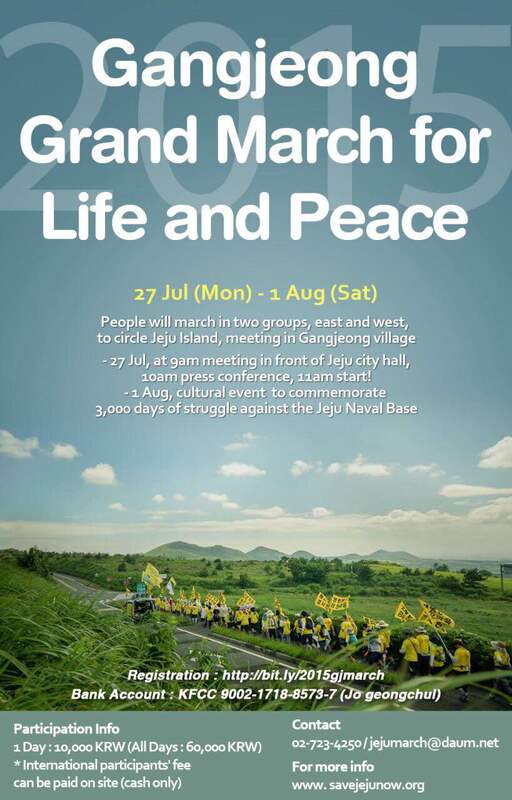 A Cultural Event to commemorate 3,000 days of struggle against Jeju Naval Base! The Grand March starts from Jeju City Hall on 27 July. The group will be divided into two groups, one marches towards east coast of Jeju Island, while the other group marches towards west coast of Jeju Island. Two groups will meet together at Gangjeong village on 1 August. 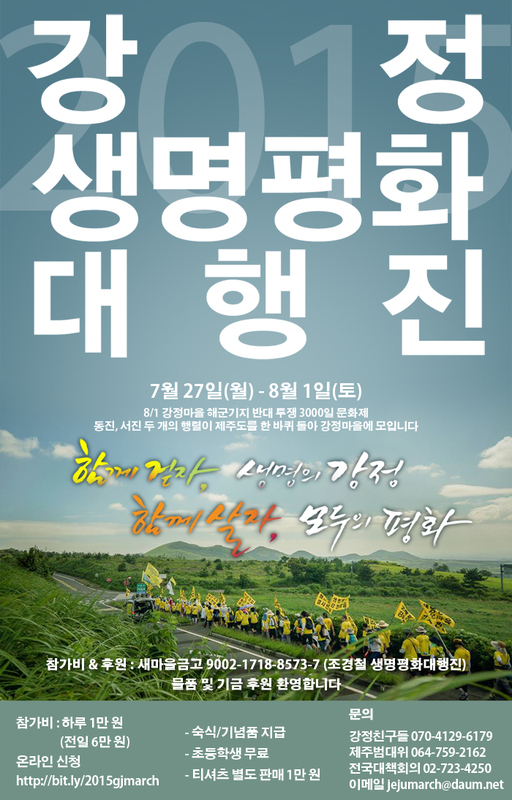 On 1 August, villagers and participants will commemorate 3,000 days of struggle against the Jeju Naval Base. We will cheer each other up who tirelessly worked to maintain peace in the village. 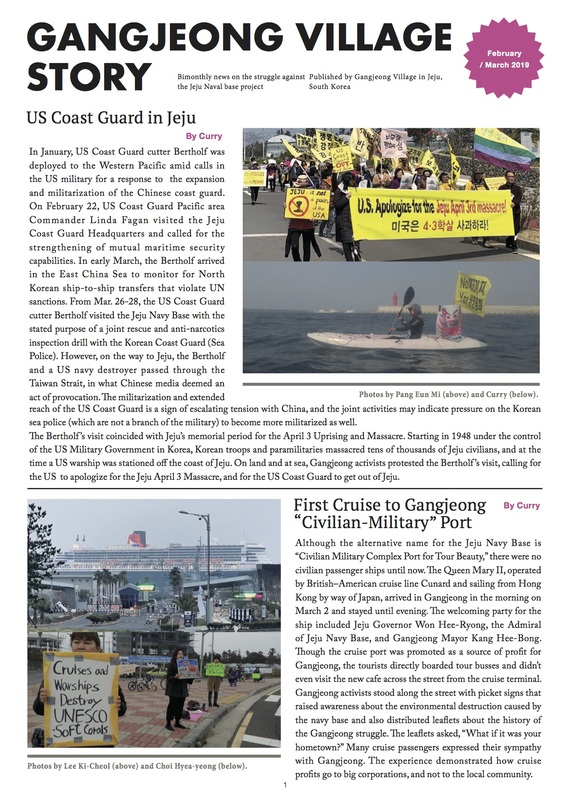 We will continue to work on maintaining peace in East Asia by opposing Jeju Naval Base! – Food, accommodation, souvenir will be provided. No participation fee for elementary school children and younger. – T-shirt is 10,000 KRW and you can buy it on the site with cash. – Please bring your own cup and toiletories. 27 July 9am Meeting in front of Jeju City Hall, 10am Press Conference, 11am Start!